Cheap direct flights to Jamaica for only €300! UPDATE 9.8.: Super cheap tickets from Brussels to Montego Bay in Jamaica now again available for only €307 at the end of September! Direct flights, 10 kg cabin luggage included. Example dates: 20.9.-27.9., 20.9.-4.10., 24.9.-4.10. BOOK NOW, check screenshot! 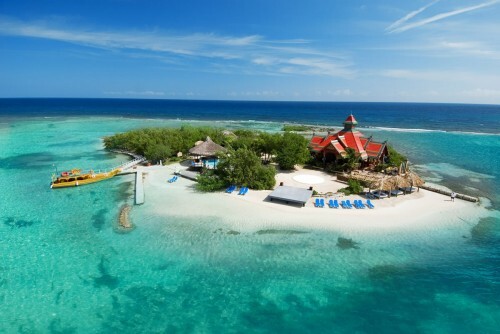 Jetairfly now offers really cheap flights to Jamaica from Belgium. 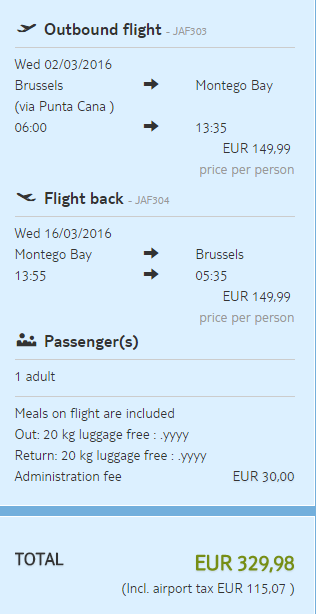 Return tickets from Brussel to Montego Bay in Jamaica will cost you just €300! There is €30 booking fee per each reservation, which will be split among all passengers. Find cheap accommodation in Montego Bay with our hotel comparison tool. You can also use this Opodo discount code for big discount from your accommodation. « Cheap flights to Indonesia & Philippines: Bali or Boracay for only €476!